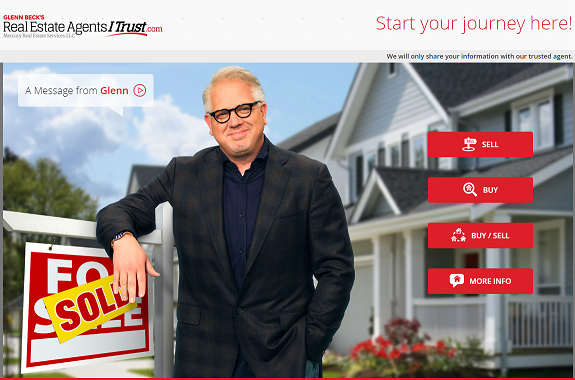 Glenn Beck is one of the worlds top radio show host. Glenn only endorses the top agents in the nation and in order to be on his short list of "Real Estate Agents I Trust" list you have to meet specific guidelines and criteria. The criteria includes the number of homes sold, number of homes listed, total volume and most importantly consumer feedback and 5-star reviews on Zillow. Tiffany Holtz Real Estate group has exceeded all of these standards so Glenn Beck is proud to endorse us as an Agent He Trust!